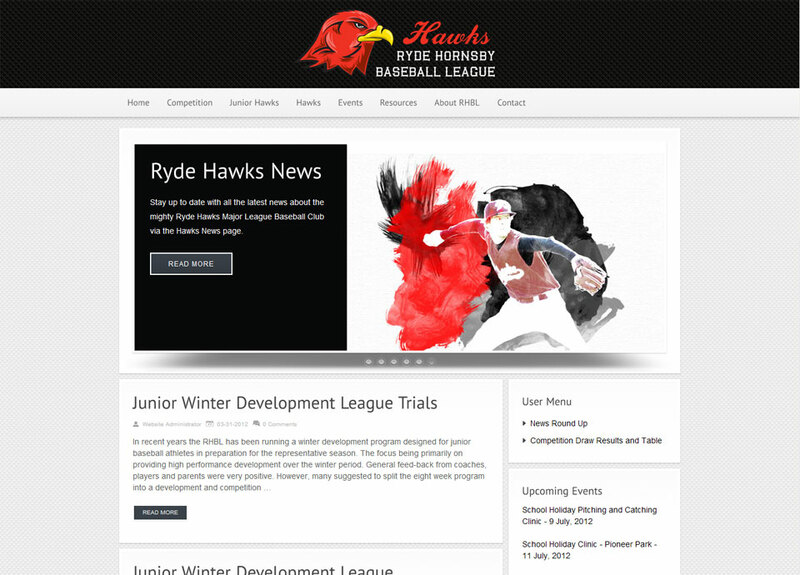 Ryde Hornsby Baseball League “The Hawks” is the premier Baseball Organisation in the Sydney Metropolitan Region. First established in 1988 the Association has twelve Affiliated Clubs with the focus on providing a well balanced competition for all skill levels. RHBL needed to upgrade their website from the free website provided by their national governing body. The League needed to restructure the current content which included management of the main competition, representative players and officials. They also needed the ability to manage the many events that they conduct every year. Of course, they also needed to administer the website directly. Due to its robustness and the availability of a wide range of plugins, WordPress was the obvious choice for their requirements.